Michael Peterson, the man accused of murdering his wife, Kathleen, in The Staircase. The true-crime docu-series has risen to prominence in recent years with the success of HBO’s The Jinx, the podcast Serial, and a suite of Netflix contributions, most notably Making a Murderer. But the genre as we know it today was really launched more than a decade ago, when The Staircase, French filmmaker Jean-Xavier de Lestrade’s vérité view of the murder case against North Carolina author Michael Peterson, aired on British and American television in 2005. 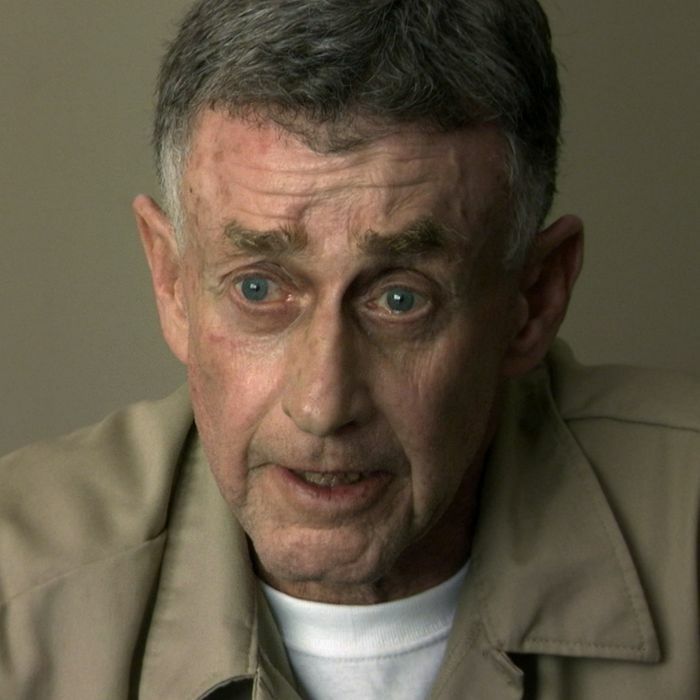 That eight-episode original series — broadcast on the Sundance Channel here in the United States — was followed in 2011 with two more episodes dubbed The Staircase 2: The Last Chance. Now Netflix has acquired the whole thing, added three new episodes about the judicial proceedings that occurred in 2016, and is streaming The Staircase as one collective whole. Consuming all 13 episodes makes it clear why the docu-series is considered a true-crime pioneer: It humanizes a man accused of committing a horrific crime, provides evidence that he’s been railroaded by the system, and, because it follows events surrounding the case over nearly a 15-year period, provides a profound education in the complexities and flaws of our legal system. In a way, The Staircase is like a true-crime version of the Up series, albeit on a much more modest scale. It is compelling, but like many entries in this genre, not exactly an objective work of journalism. On the night of December 9, 2001, after watching the movie America’s Sweethearts and enjoying some wine together by the pool in back of their Durham home, Michael Peterson claims that his wife, Kathleen, left him by the pool and went inside. Later, Michael found her lying at the bottom of a staircase inside their home. He believed she must have fallen and called 9-1-1. Kathleen died at the scene and not long after, Peterson was arrested and accused of killing her. As the series shows us, during a 2003 trial, the prosecution lays out a case against him, alleging that lacerations discovered on Kathleen’s skull during the autopsy are consistent with a beating rather than a fall. Other incriminating bombshells are dropped, including the fact that Michael is bisexual and had encounters with men outside of his marriage. It’s also an eerie coincidence that a close friend, Elizabeth Ratliff — whose two orphaned daughters were adopted by Peterson and his first wife, Patty, and were raised later by him and Kathleen — was found dead in 1985 at the foot of a staircase after what was thought to be a stroke. I won’t go into too much detail about the case because true-crime shows like this one are always more fascinating when the information being presented feels at least somewhat fresh. But Peterson’s case was high-profile enough that plenty of people may already know that prosecutors and some of their key witnesses undeniably overreached to present physical evidence, and other types of evidence, as definitively damning against the defendant. If The Staircase proves one thing, it’s that the arc of the legal system is long as hell, and doesn’t always bend toward justice. It also proves that cases as long as this one don’t necessarily ever bring closure. The most recent batch of episodes, which follow a noticeably aged Peterson (who’s now on house arrest and contemplating the prospect of another trial or the possibility of entering an Alford plea), does not once and for all answer a central question: What happened to Kathleen Peterson that night? De Lestrade gives Peterson the opportunity to tell his story to the camera, something he never does on a witness stand, and he gives a persuasive account of what he has said all along: that he found his wife at the bottom of the stairs, and he doesn’t know exactly what happened beforehand because he wasn’t present in those moments. All he knows is the horror of finding his wife in a pool of blood, with splatters on the walls that would eventually become the subject of much debate in a courtroom. But even David Rudolf, Peterson’s long-standing attorney, says that while he believes his client is innocent, we’ll never know what really happened on that night because the only people who do are the deceased and her husband. It’s also notable that Peterson admits that he fibbed about certain personal matters. Is he capable of lying about other things, too? Still, it’s hard to come away from The Staircase not siding with Peterson, in part because the evidence to convict simply isn’t there — officials in Durham County obviously botched their handling of the case — but also because the film is presented so much from his perspective. The amount of access that de Lestrade is given to his subject and his legal team in workplaces, homes, prisons, and courtrooms is truly astonishing, and it gives The Staircase a sense of real intimacy that distinguishes it as a docuseries landmark. But with that access and perspective comes a sacrifice of full objectivity. There are elements of the prosecution’s case, including the fact that the Petersons had financial issues that may have motivated Michael’s interest in his wife’s substantial life insurance policy, which The Staircase does not address in significant detail. In a different kind of documentary, the now-famous “owl theory,” which posits that Kathleen was attacked outside the home by a swooping owl or some other bird of prey, whose talon marks would explain those head lacerations, might have been the focus of an entire episode. (Title of episode: “The Owls Are Not What They Seem.”) It is mentioned only in passing in The Staircase. The Staircase also does not spend much time at all on the life of the victim; what we know about Kathleen, an accomplished business woman and executive at Nortel, is conveyed mostly through the grief experienced by her accused husband and their fractured family, which includes Margaret, Martha, and Michael’s sons from his first marriage, Clayton and Todd, as well as Kathleen’s daughter from her first marriage, Kaitlin, and Kathleen’s two sisters. That last trio, who get some, but not much, screen time in the series, all believe Michael Peterson to be Kathleen’s killer while the rest of the family steadfastly supports him. During court testimony in the final episode, Candace Zamperini, the more outspoken of Kathleen’s two sisters, makes a point of noting that The Staircase was made without her cooperation or consent. She also implies it has served as a propaganda tool for the accused. There is no question that The Staircase may have helped bolster Peterson’s case, much the way that Making a Murderer has done, years later, for Steven Avery and Brendan Dassey, to the point of raising issues for the Supreme Court to consider. That is not a bad thing given the egregious missteps made by law enforcement in both proceedings, and that, in the context of The Staircase, certainly confirm that Peterson did not receive fair treatment. But it’s still important to remember that even in a probing, well-made, humanistic documentary like this one, the story may only be a partial one.